Christian retail customers long for community, says DaySpring Brand Director Kim Marquette. During one of Tuesday's breakout sessions at CBA's Unite 2016, Marquette instructed retailers on "In-Store Event Planning." Hosted by Illustrated Faith by DaySpring, the session offered insider tips on planning and executing an in-store event that builds faith, fosters community and creates an unforgettable experience. CBA’s Christian Product Trends workshop gave retailers attending Unite 2016 a hint at the future of Christian retailing. The event hosted key industry figures, including Ed Leonard (New Day Christian Distributors), Cynthia Ruchti (American Christian Fiction Writers), Dan Lynch (B&H Kids) and Kevin Traub (Zonderkidz), who highlighted product trends in retail. Best-selling author Walter Wangerin was named Author of the Year at the Association of Logos Bookstores' 42nd annual meeting last weekend in Cincinnati. 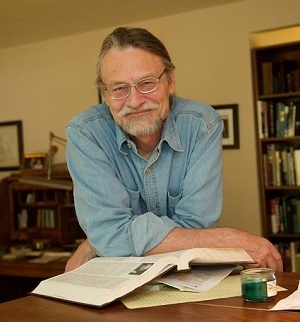 A Lutheran pastor and National Book Award winner, Wangerin, who previously won Book of the Year twice from the Logos stores, is known for works such as The Book of the Dun Cow, Book of God and Letters From the Land of Cancer. His most recent work is Everlasting Is the Past. Logos also presented its annual Logos Book Awards and its Outstanding Rep “Attitude of Gratitude” Awards. Four of the Christian products industry’s CEOs shared their thoughts on the future of Christian retail and its challenges at Tuesday’s mid-day general session at Unite 2016. 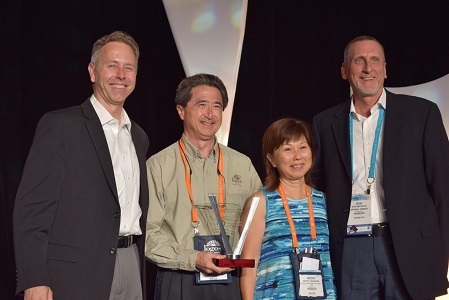 The gathering began with the presentation of the annual Jim Carlson Spirit of Excellence Award, which was presented to Carl and Becky Ahshizawa, owners of Logos Bookstore of Hawaii in Honolulu. The couple turned to crowdfunding earlier this year to keep their store open beyond 2016, raising more than $100,000 with a GoFundMe account in order to renovate and move the store to a new location. 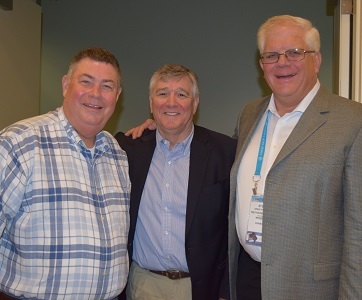 The Parable Group and Covenant Group make targeted marketing and data tracking their ongoing goals, the marketing groups told vendors at the Parable-Covenant vendor breakfast Tuesday morning at Unite 2016. With regard to marketing, Steve Potratz, Parable Group founder and president, showed suppliers how heat mapping highlights for stores the geographical location of their customers and dollars spent to give retailers a better view of their reach. “Every Door Direct” and Facebook advertising targets customers and their friends, enhancing potential visits and sales. 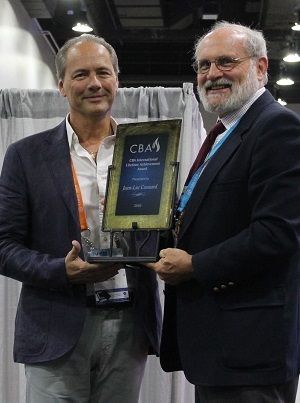 CBA honored Jean-Luc Cosnard, a Christian publishing innovator and former ChristianTrade chairman, with the International Lifetime Achievement Award on Tue0sday morning during Unite 2016. Jack Scott of Scott Training and Marketing presented the award to Cosnard, president of Editions Vida, at the Global Crossroads: International Business Fellowship event. The 2016 Christy Award winners were announced Monday in a much more understated fashion than at the usual gala during the International Christian Retail Show (ICRS). Instead, the awards honoring and promoting excellence in Christian fiction were announced via video online at christyawards.com. The winners will be featured on Moody Radio's "Chris Fabry Live!" this Friday, July 1. 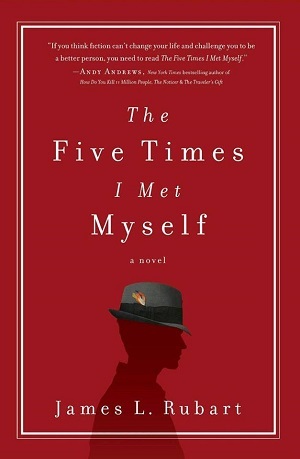 Hosted by Fabry, a novelist who has won multiple Christy Awards himself, the show is heard on over 225 Moody radio stations and streamed live at moodyradio.org/chrisfabrylive/, 2-4 p.m. CDT. Afternoon breakout sessions at the International Christian Retail Show showed retailers how to fight Amazon and how to build their store staff. "Stand Against Amazon: Empty Storefronts: The Fiscal and Land Use Impacts of Online Retail" was led by Matt Cunningham of Civic Economics and Eric Grimm, director of communications for CBA. "The bottom line is that independent bookstores are good for the local economy," Cunningham said. Cunningham offered statistics about Amazon's growth in online sales and distribution footprint, saying that Amazon's distribution sites can range from millions of square feet to just a storefront. One of the most telling stats was that of Amazon's $48 billion in sales in 2014, $45 billion "would likely have occurred in retail sales." Around 11.5 percent of Amazon's sales are in books. One key for Christian retailers is to build community. "Independent retail has played a vital role in bringing a community together," Grimm said. "There are things stores can do what nothing else can when it comes to building community." 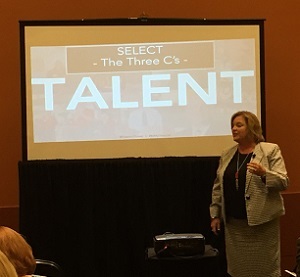 The second workshop, "Discover the Secret Sauce to Chick-fil-A's Compelling Culture," was led by Dee Ann Turner, a 30-year veteran of the chicken chain, vice president and author of It's My Pleasure: The Impact of Extraordinary Talent and a Compelling Culture. Turner spoke of building a team by selecting, sustaining and stewarding employees. "Craft a profile of what you're looking for, looking at what you need now and what you'll need later," Turner said. She encouraged retailers to advocate for their employees, as well as allow them to make mistakes. Turner also suggested that employers "steward their seasoned leaders" to take advantage of their wisdom, insights and ideas. "It's important to leverage all that talent, both emerging talent and long-term talent," Turner said.